Quality Teaching Rounds (QTR) is a unique program that supports teachers to make a profound and positive impact on the lives of their students. Global education thought leader University of Newcastle Laureate Professor Jenny Gore and colleagues*, in partnership with the Paul Ramsay Foundation and the NSW Department of Education will expand this program to at least 30,000 additional Australian teachers over the next five years. “Great teaching is foundational to the well-being of individuals, communities, the disciplines and the nation. I am deeply honoured and truly delighted that the Paul Ramsay Foundation has recognised the impact and greater potential of Quality Teaching Rounds,” Professor Gore said. Originally conceived by Professor Gore and colleague, Dr Julie Bowe, QTR has revolutionised teacher professional development. Working in groups, teachers across all experience levels – from new graduates to school principals – are empowered to refine their practice collaboratively in a way that ensures ongoing improvement. “Teachers are really excited about this way of working and the opportunity it creates for them to analyse and discuss in detail what they are doing and collectively develop ways to improve teaching practice. “The beauty of Quality Teaching Rounds is that it puts all participants on the same level, where they can assess the quality of teaching and provide specific feedback to their peers in a non-confrontational and collaborative way. Better professional development is fundamental to better outcomes, both academic and non-academic, for students. QTR offers great promise across all subject areas and year levels,” Professor Gore said. At $16.4 million, the Paul Ramsay Foundation grant is the largest philanthropic partnership for research in the University of Newcastle’s history. In addition to the program’s significant expansion, the funding will support rigorous scientific evaluation of the program and the development of a business model for an outreach hub to support ongoing professional development. “This incredible grant will enable our team to continue this valuable work in schools as we recruit for our 2019 phase. “Teachers in rural and remote settings often struggle to access professional development, due to geographical isolation, costs associated with travelling, and difficulties in finding replacement teachers. “We’re working to enable access for teachers in even the most isolated and disadvantaged schools to participate,” Professor Gore said. The program has already attracted interest in regions including the United Kingdom and Singapore. “We’re fielding strong international interest as this program has the capacity to easily translate to other regions around the world. The ultimate goal is to enable teachers from anywhere in the world to participate in QTR as we test and refine approaches to implementation at scale,” Professor Gore said. University of Newcastle Vice-Chancellor, Professor Caroline McMillen said the partnership was a fine example of organisations with shared values coming together to scale solutions to major global challenges. “This investment will have a profound effect on the lives of children in New South Wales and beyond. “Education is a powerful investment in our future. We are delighted to see University of Newcastle researchers again at the forefront of work with national and global impact. We are justifiably proud of the excellent research Professor Gore and her team have performed over many years,” Professor McMillen said. Paul Ramsay Foundation Chief Executive Officer, Mr Simon Freeman, said the Foundation was committed to improving outcomes for Australian students. "Put simply, we have chosen to support Professor Gore and the QTR program because the evidence suggests it will work to strengthen the teaching profession, improve the overall quality of teaching and build the capacity of our education sector. We are delighted to be working with the University of Newcastle and the NSW Department of Education to advance this important initiative." Since its introduction in 2009, more than 200 schools have participated in Quality Teaching Rounds. Mr Mark Scott, Secretary of the NSW Department of Education said he was eager to see more teachers enjoy the benefits of participating in Quality Teaching Rounds. “The benefits of this program are tangible and profound. We’ve observed improved teaching quality, teacher morale, and teaching cultures across a range of schools and classroom settings. We look forward to entering this exciting next phase of the program with the University of Newcastle and Paul Ramsay Foundation,” Mr Scott said. Schools interested in participating in the 2019 phase of Quality Teaching Rounds should register their interest at www.newcastle.edu.au/QTR. 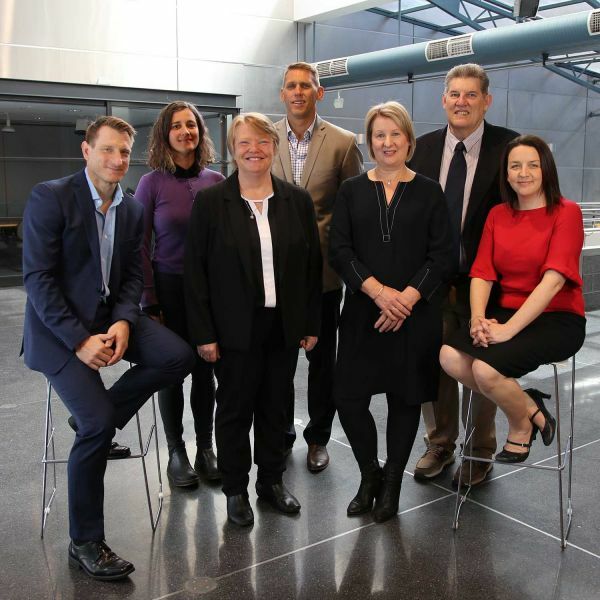 * Professor Gore’s Quality Teaching Rounds co-researchers are Dr Drew Miller, Dr Jess Harris, Dr Elena Prieto-Rodriguez, Dr Julie Bowe, Professor Max Smith and Professor David Lubans. Quality Teaching Rounds have shown improved teaching quality and teacher morale, with implications for job satisfaction and retention of teachers.